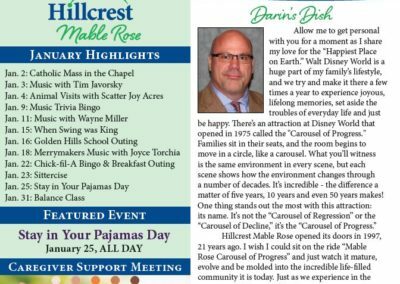 Hillcrest Mable Rose has provided memory support and assisted living in Bellevue for nearly two decades. 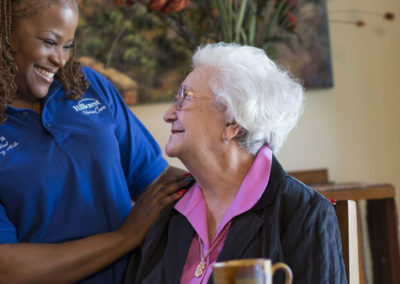 If your loved one requires some assistance with daily living activities, our assisted living services are designed to allow residents to maintain the highest level of independence possible while receiving the compassionate care they need. 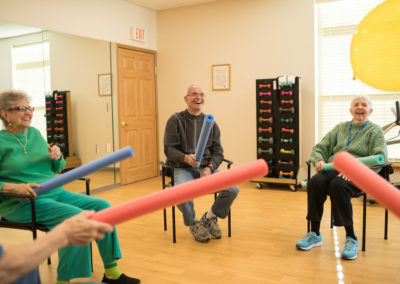 Our memory support program provides individualized care in a comfortable, secure setting with a variety of activities and events catered to our residents’ interests. 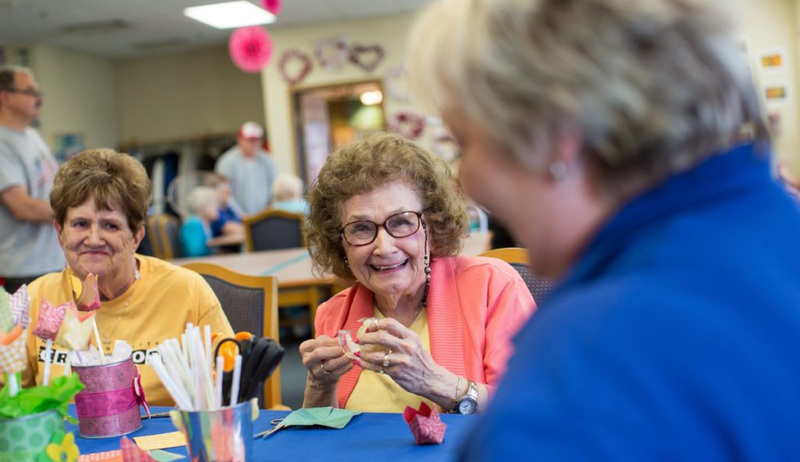 Our beautiful assisted living residence received a $2 million renovation in 2018 that updated resident apartments and all common areas while adding new features like a Cinema. 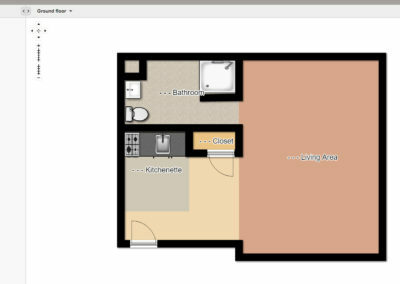 We offer unfurnished, private apartments in three different floor plans, with convenient features like safety-equipped bathrooms and kitchenettes with refrigerators and microwaves. 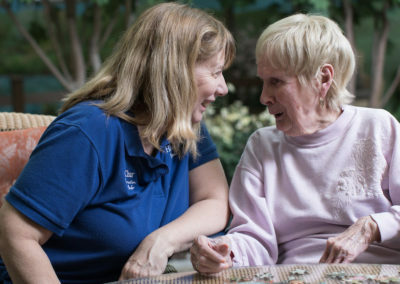 Our memory support houses offer new opportunities for individuals with cognitive impairments who need a supportive, loving assisted living environment. 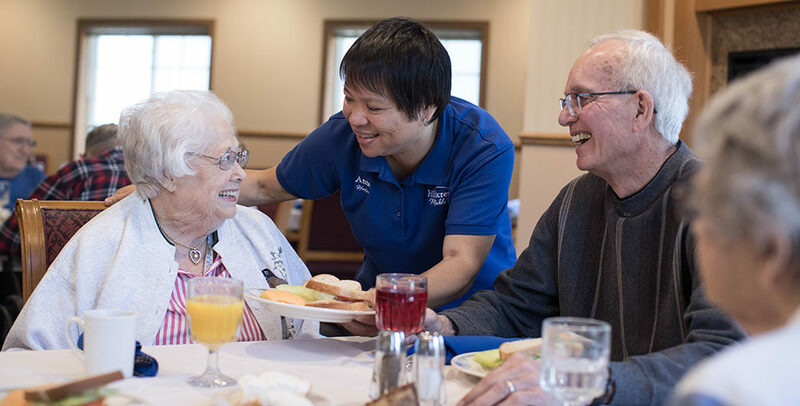 Located with Hillcrest Mable Rose, The Club is designed for individuals who live at home but could benefit from social contact with new friends. “…Thank you also, for helping to provide such a wonderful new home for (resident name). I have had the opportunity to meet many members of your staff and their care and professionalism is off the charts. She also speaks glowingly of all the folks I don’t run into: those who do her nails and hair and those amazing bubble baths. I also heard about the fantastic Christmas celebration which I missed and all the movies and bingo and musicians you bring in. I did, however, make it for the art show and the incredible Mother’s Day spread. Wow!” Jim R.